I first came across this stall when a friend posted it on Facebook. He went to try and liked it enough to recommend it. They are located in the coffee shop that is directly opposite Teck Ghee Court Market along Ang Mo Kio Avenue 1, the same market that I used to visit with my late Grandpa. We used to go there for breakfast and for our usual coffee sessions then shopping at the wet market on a regular basis. I have not been going there that often ever since his passing about 4 years ago. This food centre and the market have always been bringing back a lot of fond memories. 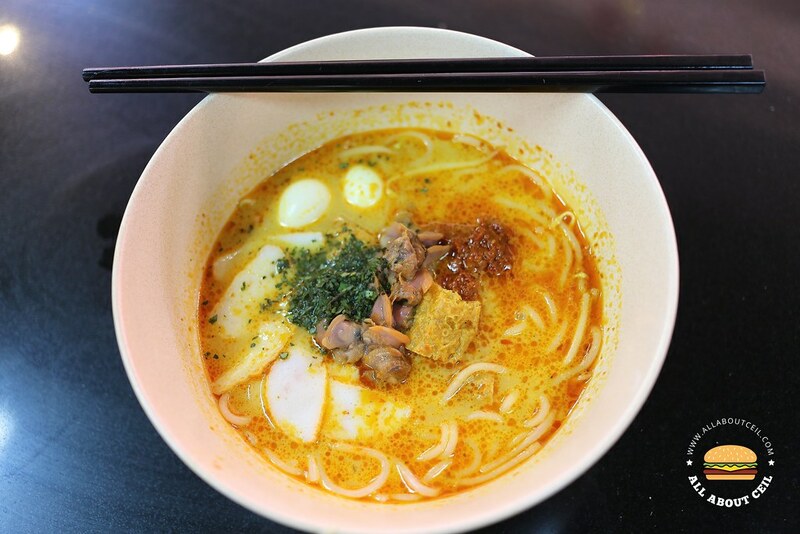 This stall started in October 2016 by a 28 years old next generation hawker using a recipe for Nyonya laksa that has been passed down from his grandmother to his mother. He even named this stall after his 63 years old mother. He started cooking at the tender age of 15 and eventually learned how to cook the laksa at 21 years old. This stall is a family business, he is doing the cooking, his mother is helping to prepare the ingredients and his elder sister is taking the orders as well as serving it. They usually sold about 60 to 80 bowls on weekdays and 140 to 170 bowls on weekends. 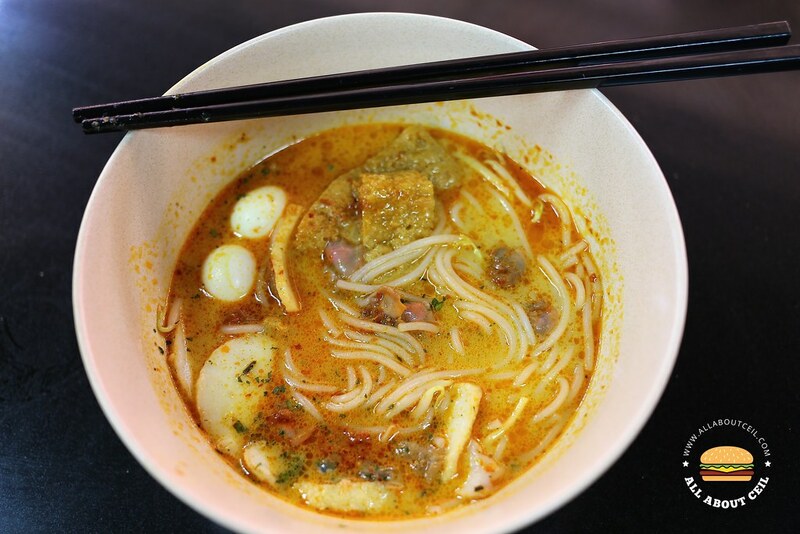 And, to maintain the consistency of its standard, he is doing it by eating a bowl of his laksa each day. The taste is lighter though not as rich but it is flavorful enough. Coconut milk is added to actually make a difference, it is one of the main ingredients for a more authentic flavor. It tasted different as compared to the other laksa that is using condensed milk, a usual and cheaper alternative. Everything is prepared from scratch including their rempah, which is also known as spice paste, and the sambal. It starts from the grinding, blending then followed by cooking all the ingredients and no MSG is added during this process. There are only 2 choices available and that is, with cockles or with shredded chicken, serving with other ingredients like quail eggs, tau pok and slices of fishcake. They run out of bean sprouts when I was there after 1 pm on a Sunday. Each bowl is reasonably priced at $3.50. They also do catering, their laksa set costs $45 for 10 pax and you have to order at least 3 days in advance. As for the coming Chinese New Year, they are providing their laksa base at $28.80 for 10 pax and the laksa set is at $48.80 for 10 pax, too. Delivery charges are applicable from $8 to $15 depending on the location and it is free if you order for 30 pax and above. The closing date for ordering is 22 January 2017, before 23:59 hrs. For more details, please visit their stall or check out the contact number on their Facebook page. It is heartening to see a family comes together to put in their efforts for a common interest. Though their laksa tasted quite simple but they cooked it with love and serve it with their hearts. UPDATE: They have moved to Block 421 Ang Mo Kio Avenue 10 with effect from 15 March 2017. We have relocate the stall to AMK ave 10 Blk 421.